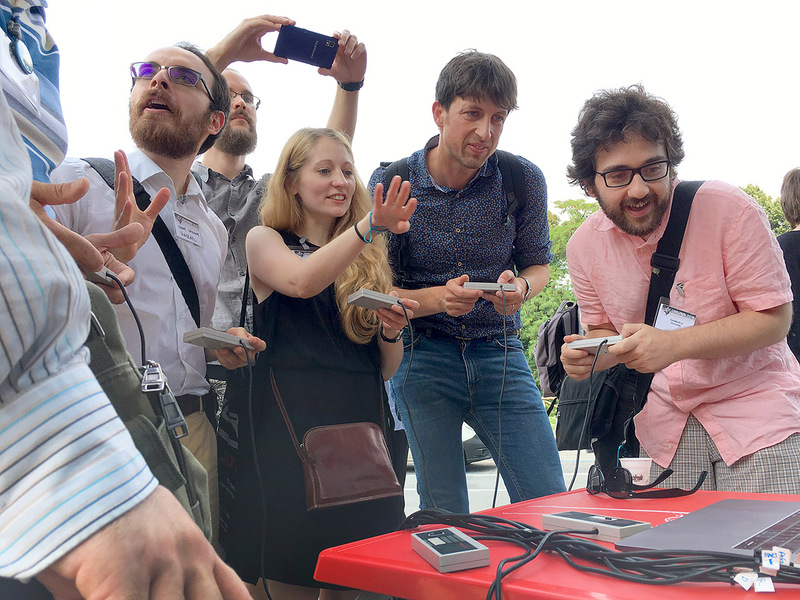 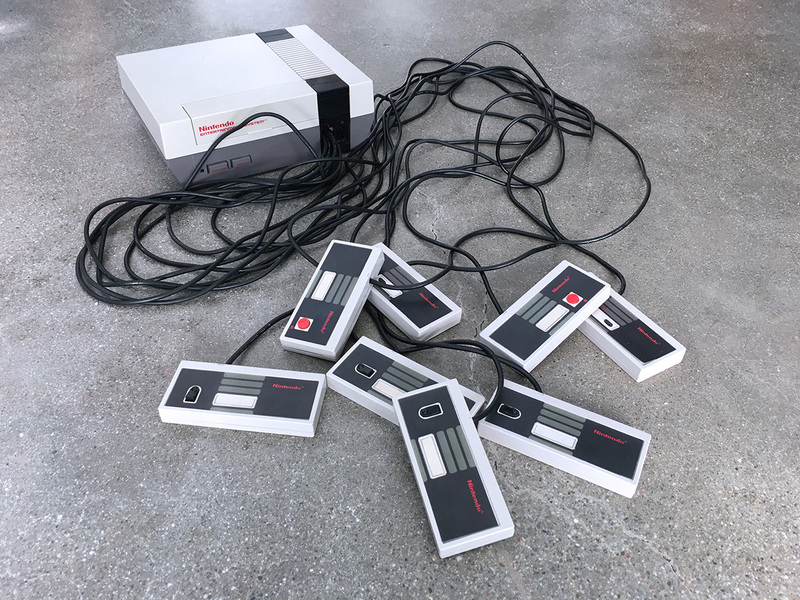 Octopad is an eight-player controller for the Nintendo Entertainment System that turns single-player games into multi-player parties! 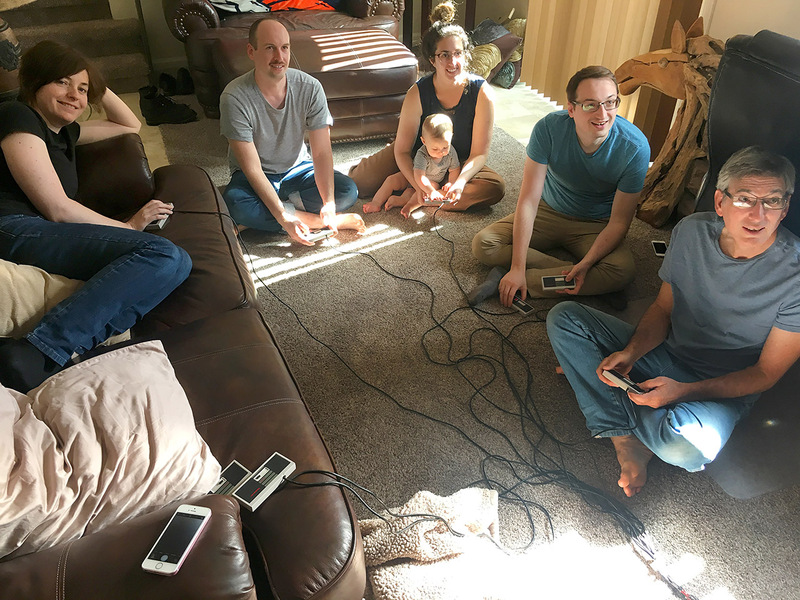 Instead of one controller with eight buttons, what if there were eight controllers with one button each? 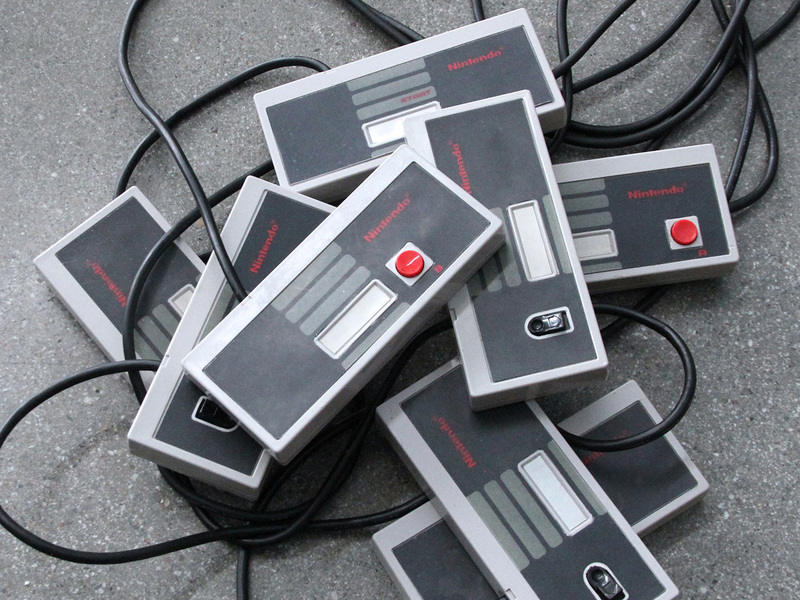 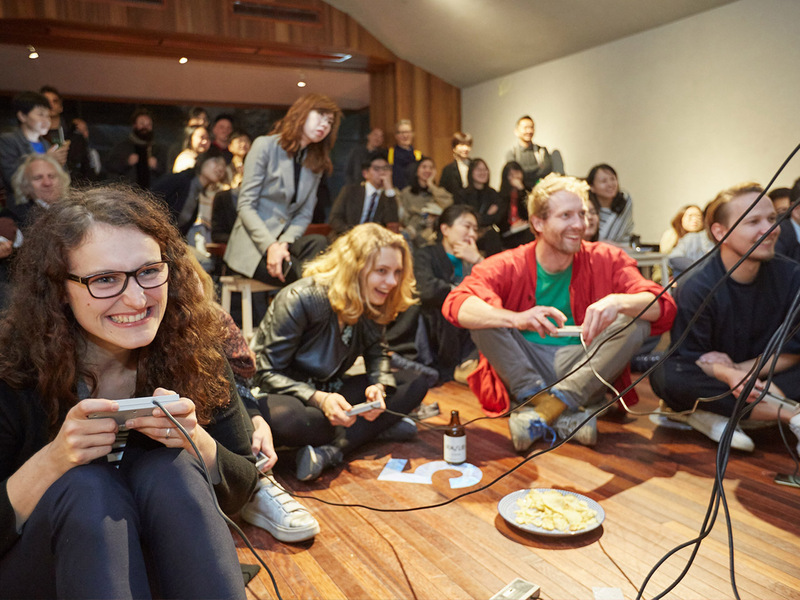 Instead of a single-player experience, what if Tetris was a team sport? 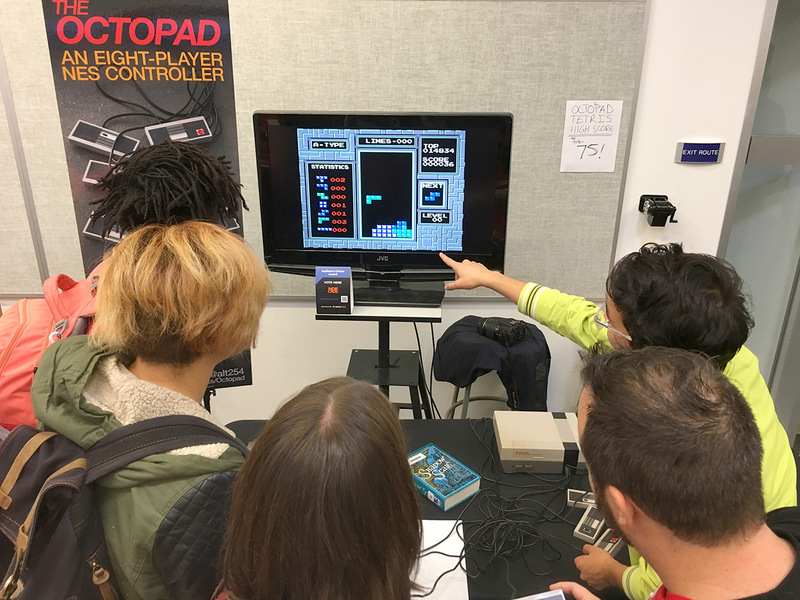 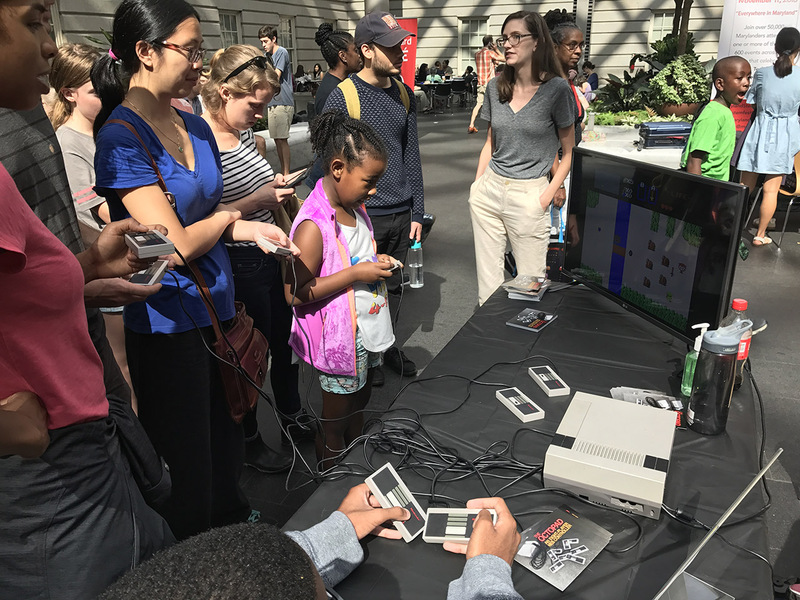 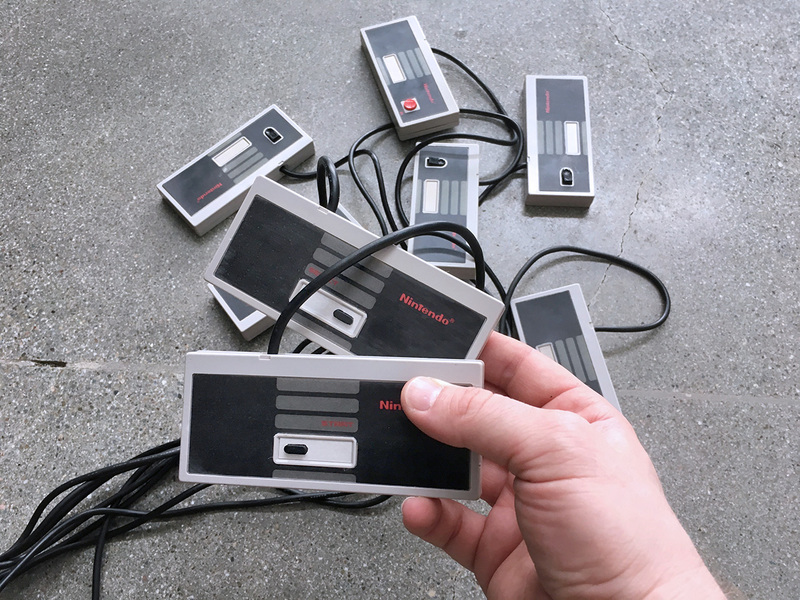 The Octopad is an alternative interface for the Nintendo Entertainment System that transforms classic titles like Super Mario Bros., The Legend of Zelda, and Tetris (or Yo! 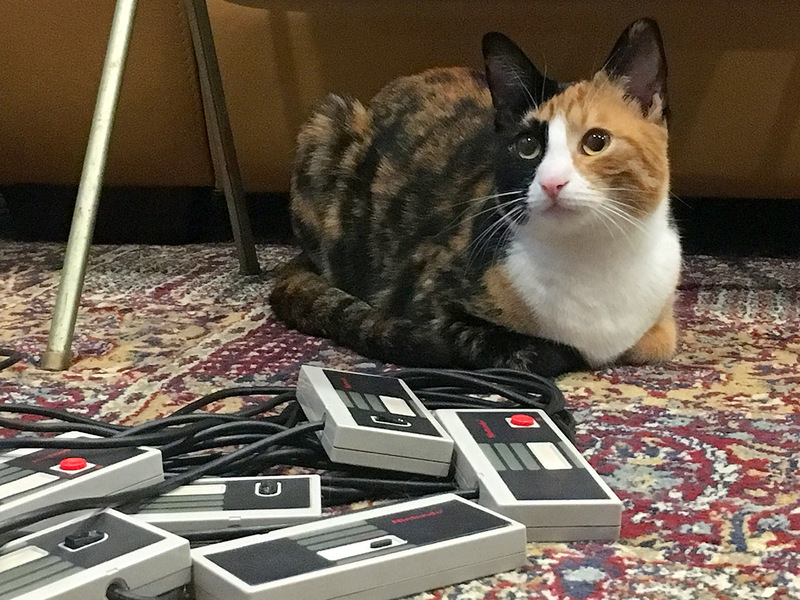 Noid, Gremlins 2, and Hatris ) into cooperative puzzles and multiplayer parties for 4 to 8 people!